This item holds one DVD dics. Order received two days in advance of promise date. All 100 cases received. 1/4 of the cases were warped which I blame on packaging. They straightened flat after storing flat for several days. The case edges were rough and are typically smooth on better quality cases. All in all for the price they met my purchasing criteria. 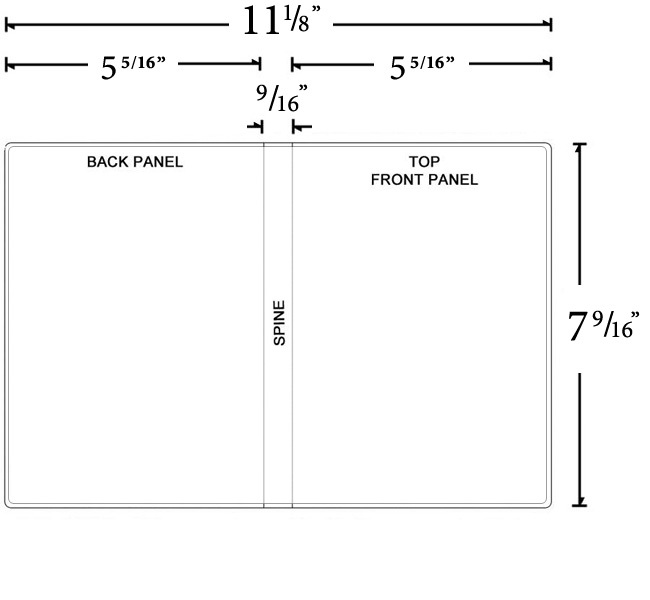 I have purchased these DVD Cases for my 6 Retail Stores many times in the past. Normally they are quite good. However, the last batch had way TOO MANY DAMAGED CASES! Out of 100 I threw away about 30 of them. I recieved them with torn damaged plastic covers and broken pieces. I will no longer buy from this site and have moved to Meritline on a trial basis. PS They smell terrible and need to be aired out for at least 90 days...I do it for 6 months. Usually I have no complaints with these DVD cases, however, I was really disappointed 2 orders ago with the amount of cracked cases and torn, scratched covers, about 8 so far. I haven't opened my most recent order yet, but if the free gift that came in the outer box is any indication, (totally smashed), I am not going to be a happy camper. I agree with some of the other reviewers, the packaging leaves much to be desired. Still, I believe them to be a good deal for the money and the free shipping is a definite plus! 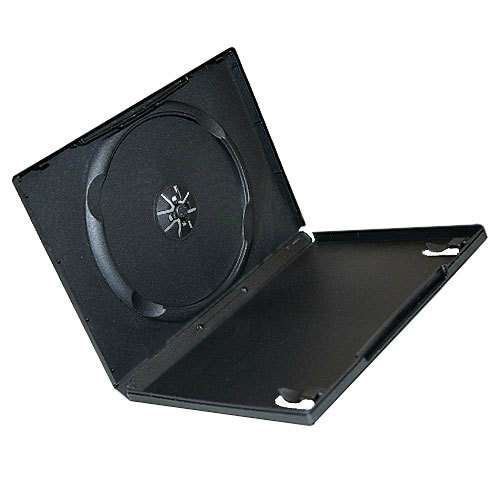 I've used hundreds of these cases, but find that, among other problems, they don't hold the DVD during shipping. The discs get loose and run around inside the box getting badly scratched & won't play. Bad for customer relations! Also, the little snap-lock tabs break off and the box won't stay closed. Some cases just break when opening them. If you're okay with tossing out about 5%, then go ahead and use these. Otherwise upgrade to something more premium. I'm not buying these anymore - they're just not worth the aggravation. These are the same cases I was paying $9 per 10 at OfficeMax. All 100 in great shape. Smell ?? Smells like a box of plastic to me. I'm going to order another case soon. I've got these cases many times. 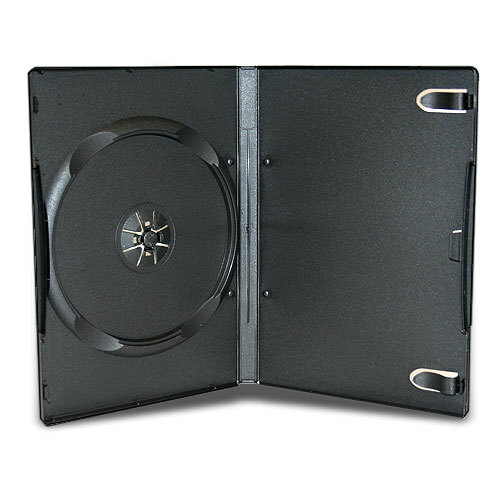 Great for simple use or giving dvds to friends or home movies. I used them when I've made a highlight video as gift to the people. They aren't the most durable product and cases break easier than normal store bought dvds.....they do smell like they've just come out of a fire though. Overall, you cannot get a better deal for basic dvd cases. These are cheaper than the stores by a lot. The shipping was exceptionally fast! The packing was good, and the cases are sturdy and allow for easy access to both CDs and DVDs. For this I would rate the cases 5 Stars. The reason for rating them only 3 Stars is because they all smell like they've been in a fire!!! Just what I needed and quick too. 99 out of 100 were in excellent shape and each one closed properly. I was skeptical about purchasing reading the reviews but once I saw free shipping and the price, I couldn't say no! I was hoping for the worst in case the dvd cases were messed up but I was very pleased. I am definitely going to buy again. Would have given a 5 out 0f 5 if all 100 were perfect otherwise great product and quick shipping. I purchase a hundred of this cases and out of a hundred four were broken,my oponion they should have been package better.the second thing I notice is a slight order from the recycle materials are used to make this, you would have to set them out open and let them air out.over all I would recommend this to freinds and coworkers only if they are packaged better you cant beat them for the price and quality.I will purchase more only if im assure there packaged more securly. I always buy these and they are great, but this last batch of a hundred are terrible, especialy the hub. Feels like the dvd is going to break trying to get it in the hub.